Tedec-Meiji Farma had certainly imagined a different picture! The Spanish company sponsored a study in order to examine the effectiveness of their product. The result: the placebo relieves osteoarthritis pain better than the dietary supplement. 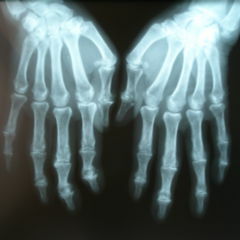 One of the risk factor for arthrosis, in addition to being female and advanced age, is obesity. By way of an appropriate diet, those affected by the condition should bring their weight back to normal and thereby provide their joints with relief. 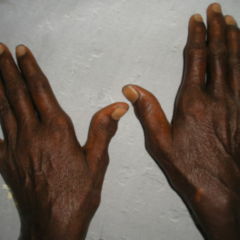 They also receive anti-rheumatics, possibly glucocorticoids, and physical therapy for their ailment. Movement management also has its place in osteoarthritis therapy. However, all these measures have only symptomatic impacts. The gaps in therapeutic treatment and the high distress of those affected are probably the reasons why “cartilage protectors” such as glucosamine and chondroitin sulphate are still very popular. Glucosamine, an important component of cartilage, when taken in tablet form is thought to support the regeneration of cartilage. 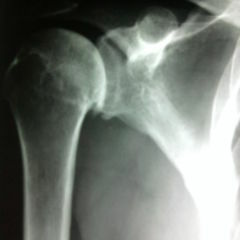 Chondroitin sulphate is usually created by chondroblasts and increases the resistance of the cartilage. Often cited as evidence of the efficacy of these two drugs is a study done by scientists led by Prof. Marc Hochberg. At the beginning of 2016 in a double blind study he compared the effectiveness of a glucosamine/chondroitin sulphate combination with that of celecoxib. 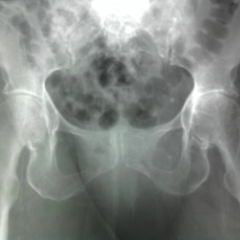 About 600 patients with osteoarthritis and moderate to severe pain participated. The people were given either a preparation with 400 mg chondroitin sulphate and 500 mg glucosamine three times daily or 200 mg celecoxib every day. Six months later, pain intensity had dropped in both groups by about 50 percent. The study was funded by the pharmaceutical company Bioiberica and Pfizer, which among other things provided the medications for free and participated in the evaluation of the data. However, there was strong criticism of the publication. For one because the placebo arm was lacking, and secondly because of the study design. The topic “dietary supplements in association with osteoarthritis” was also discussed at the German Congress of Orthopaedics and Trauma Surgery in 2014. Many manufacturers of dietary supplements would typically promise people with osteoarthritis that this could relieve the pain in their joints or prevent wear. This alleged effect was, however, proven in trials only to a minor extent. “Many medications that prevent osteoarthritis or prevent its progression are just above or at the level of placebo effect”, according to registered specialist in orthopaedics/ trauma surgery and physical/rehabilitative medicine Dr. Uwe de Jager. For dietary supplements, such as chondroitin sulphate, mussel extracts, acetylated hydroxyproline, medicinal herbs or homeopathic remedies, the effect is also not sufficiently proven. Only with glucosamine is the body of data somewhat better, he says. But what about the efficacy and safety of a combination of glucosamine and chondroitin sulphate? In order to get to the bottom of this matter, the team led by Jorge Roman-Blas of Madrid’s Fundación Jimenez Diáz brought the Spanish company Tedec-Meiji Farma on board. This company was so convinced of the effectiveness of its preparation that it funded the study and sponsored the medications. The primary endpoint of the study was to be the change in pain intensity on the visual analogue scale (VAS). This assessment is subjective, which is why in obtaining a meaningful study a placebo is needed. For the interpretation of the data an independent panel of experts was also appointed. The randomised, controlled double-blind study involved the participation of some160 people with osteoarthritis of the knee and moderate to severe pain. They received either 1,200 mg chondroitin sulphate and 1500 mg glucosamine or a placebo. 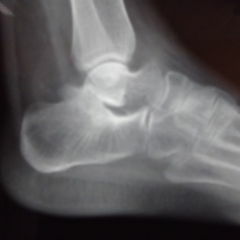 The average pain intensity on a 100 mm wide VAS at the commencement of the study was 62 mm. After six months of treatment, the participants of the glucosamine/chondroitin sulphate group indicated that their pain had decreased by about 12 mm, or 19 percent. In the placebo group the decline was 20.5 mm, or 33 percent. Since this difference was significant, the study – although designed to run twelve months – ceased after this interim analysis. The Spanish researchers are not the first ones to have demonstrated in their study the “non-superiority of glucosamine/chondroitin sulphate combination”. Two years ago, for example, Kate Lapane from the University of Massachusetts Medical School in Worcester published a four-year follow-up. According to it, the intake of the dietary supplement is thought to not significantly affect osteoarthritis pain. A similar result was also already arrived at by a meta-analysis from 2010. According to its findings there was no positive effect either in pain intensity or in radiographic findings. That, however, even the placebo had significantly better effects than the glucosamine/chondroitin sulphate combination probably quite surprised the team led by Jorge Roman-Blas. In offering an explanation for this unexpected result, the authors state that the people in the glucosamine/chondroitin sulphate group more frequently suffered from gastrointestinal side effects such as diarrhoea, upper abdominal pain and constipation. Due to this they had rated their knee pain worse than with the placebo. Compared to previous studies, the effect of the medication in the two groups turned out lower. Therefore, the authors suggest that “glucosamine could affect the absorption of chondroitin sulphate”. Their recommendation: further investigation.